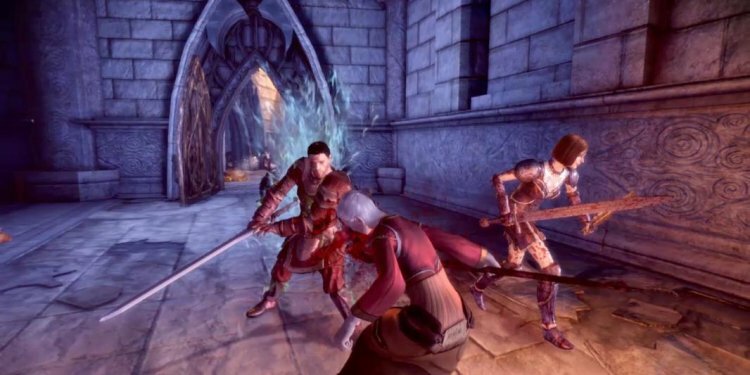 Dragon Age Origins Companions mini-Guide by Robbie922004 Alistair Joins your celebration at Ostagar, part of the primary storyline. Morrigan Joins your party at Flemeth's Hut, part of the primary storyline. Mabari War Hound Joins your party soon after Ostagar in the event that you perform "The Mabari Hound" quest. If you should be playing as a person Noble, he will maintain your celebration and never having to perform some quest. Sten Joins your celebration if you finish "The Qunari Prisoner" pursuit and enable him to travel with you. Leliana Present In Dane's Refuge in Lothering. She will join your party unless you tell her not to. Wynne Found in the Circle Tower during "The Broken Circle" quest. She's going to join your celebration unless you destroy her. Zevran he'll ambush you after you've satisfied a minumum of one of the Grey Warden treaties. After the struggle, it is possible to kill him, or speak with him. If you speak with him, he can ask to participate your party in return for sparing his life. Oghren he'll join your party during "A Paragon Of Her type" pursuit. He'll stay static in your party after the quest is concluded. Shale Shale will join your party after completing "The Golem in Honnleath" quest ("The rock Prisoner" DLC) Secret companion (highlight to see because MASSIVE SPOILER Teyrn Loghain will join your celebration if you spare him throughout the Landsmeet, this will however, cause Alistair to leave your celebration forever.